Oral health problems are more common than you think. More than 70% of citizens in all age groups in the US made a visit to the dentist in the year 2016 due to some oral ailments or just for regular check-ups. The most common oral problems are caused due to bad eating habits. Smoking and other substances are another reason for oral health problems. So, what are these problems and how to treat them? Bad Breath: The most common of all oral problems is bad breath. A rotten steak that you may have had in the morning can cause foul smells. Beans are another possible reason. In short, your bad breath may be a result of what you eat and not to forget how good is your metabolism. In fact, metabolism and oral health go hand in hand. You don’t want to be embarrassed in front of your friends or anyone for that matter, because of your bad breath. So what to do when you have bad breath? A dentist would recommend using a mouth-rinse. But this would not solve the problem at its roots. In some cases, halitosis can be due to substance abuse as well. Cavities: You have all been advised from your kindergarten days to brush your teeth twice. But do you? Even if you, do you do it properly? The food you eat may remain stuck within the gaps between your teeth. The bacteria attack that food and produce acid which corrodes tooth enamel. Once the enamel is corroded, the inner tooth is susceptible to infections. A dentist would advise you to take care of what you eat and when you eat, and they agree to the fact that your eating habits are the root cause of such a problem. A cavity could turn hazardous if not checked on time. Your dentist would have to clean the cavity. Then he would have to fill it with ceramic or sometimes mercury-based alloy and then would grind it to give denture shape. There are many other materials also available for filling the cavities. Depending upon how deep it is, there may be cases that need RCT (Root Canal Treatment) to be carried out. Gingivitis: Many of you would have faced bleeding gum problems. The disease is known as gingivitis in medical terms. It could happen because of high bacterial infestation in the mouth. Plaque build-up on your teeth is the reason for these bacterial infestations. And when this plaque enters between your teeth and gums, it turns your gums swollen, itchy and sometimes inflammatory sensations may also be experienced. At an early stage, this could be treated by regular brushing and removing plaque from your teeth. If ignored, it may lead to serious problems like periodontitis. The infection begins to spread to ligaments and bones holding your teeth in place. Discolored Teeth: Yes, it is a problem. The natural color of your teeth is white. Pale teeth represent bad oral hygiene and may lead to many other oral disorders. Generally, paleness of teeth is due to the consumption of high acid content food and sugary substances. This can lead to bad breath, plaque build-up, and if ignored for long, periodontitis. 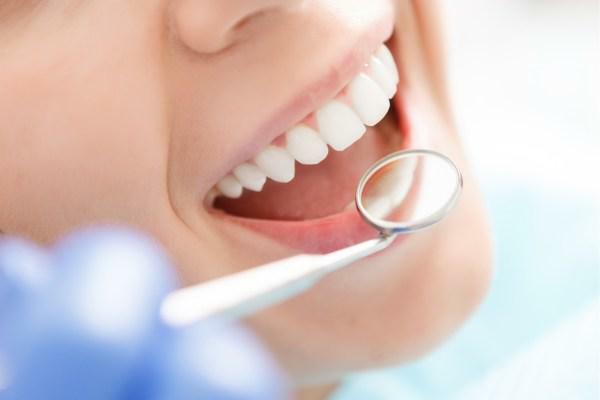 Get an appointment from your dentist and get your teeth cleaned right away. Pale teeth are weaker and prone to prematurely falling off. Your dentist would clean your teeth thoroughly and rinse them in and out and floss them for a brighter appearance. If your teeth have already fallen, you might have to get crowning or even put up artificial dentures. Ignoring oral health can cause severe health problems. The best way to avoid all oral health issues is to brush your teeth twice daily and flossing them. Rinse your mouth before and after you eat anything. Avoid eating foods with high sugar content such as chocolates, sugar candies, or ice creams. If you have these items, then you should brush your teeth after you’ve had it or at least rinse your mouth thoroughly. Smoking is another unhealthy habit that affects your oral hygiene. Smoking or consumption of tobacco can cause your gums to loosen and your teeth may fall out before age. The tar in the smoke causes yellowing of teeth. Tobacco is ranked amongst the most common reasons for developing mouth cancer. Taking care of your teeth and your health is in your hands only. Apart from brushing and flossing your teeth regularly, it is recommended by medical practitioners that you should visit your dentist once every six months to ensure your oral hygiene. Your oral health reduces your risk to encounter any other general health issues to half.